The Mercedes-AMG Project One hypercar is set to break barriers by being the first to use pure-bred Formula One technology on public roads. It is highlighted by its 1.6-liter turbocharged V6 engine combined with electric motors that enable it to produce up to 1,000 bhp. The high-performance vehicle is expected to carry a $3 million price tag. Moers estimated that the AMG hypercar would need engine maintenance once it reaches a 31,000 mileage or 50,000 km. Therefore, it is recommended for buyers of the auto to also get the extra warranty offered by AMG. Moers confirmed that the Project One hypercar will be street-legal in many countries. However, it won’t be allowed in the Chinese public roads due to regulatory hurdles. The hypercar can run silently in its full-electric mode. Then again, there is a question on how AMG will meet sound and emission laws when the car’s powerful petrol unit is active. According to Motor, the Mercedes F1 car currently has its idle at 3,500-4,000 rpm, which is far from the allowed 1,100 rpm in most public roads. Despite the electric motors fitted in the car, it only has a pure electric driving range of 25 km. That is definitely very low compared to most electric cars released recently. 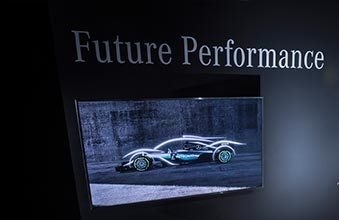 AMG reminded that the electric motors of the upcoming hypercar mainly focus on giving it a boost in overall output when utilizing its hybrid system.